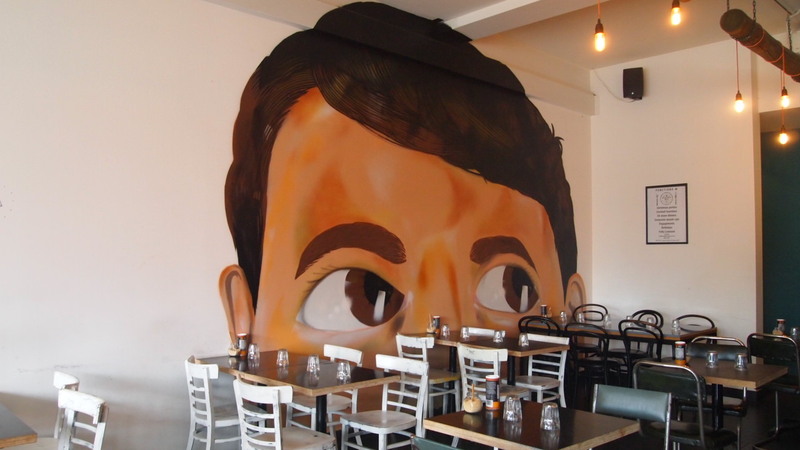 This popular Carlton café is naughty by name and definitely naughty by nature as it shares some of the characteristics you’d find in a cheeky child, it’s lively, somewhat jovial and oozes of fun. The atmosphere is a direct reflection of the amazing staff who were energetic, incredibly welcoming and friendly to this very tired mum and her little son. 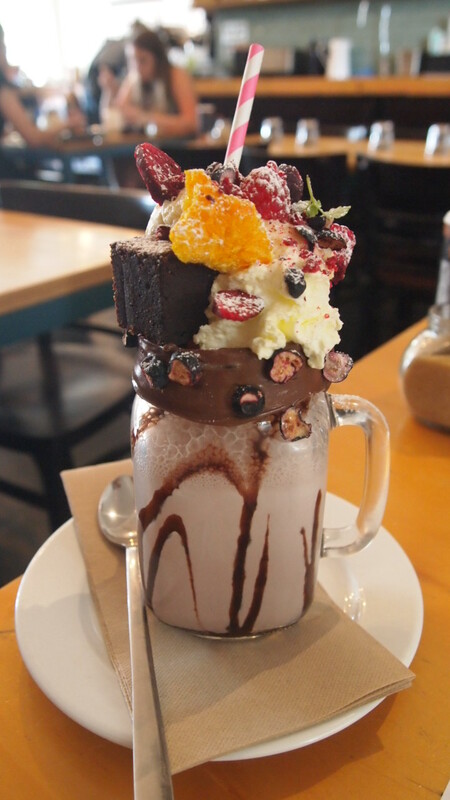 Located in a quieter part of Lygon Street (so it’s really easy to find parking which is always great), Naughty Boy has quickly grown in popularity because of this Freak Shake fad that has taken over Melbourne. Offering three sugar loaded shakes – chocolate and Nutella fudge, salted caramel, and pavlova – I don’t think there was a table in the place that was without one of them. 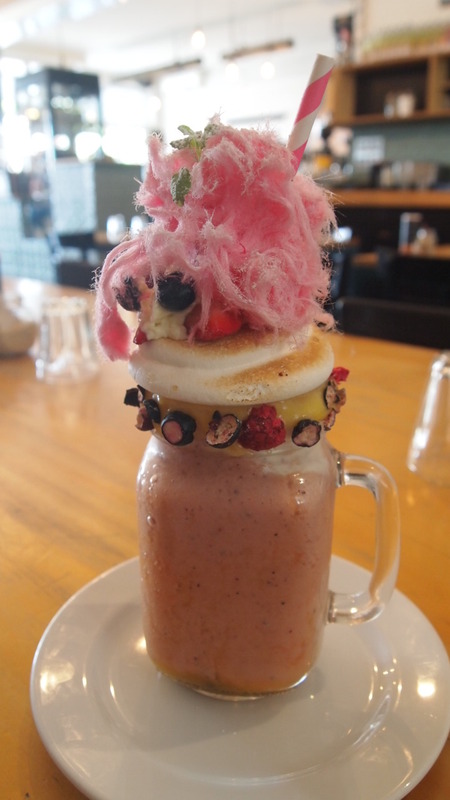 Having tried similar shakes at other cafes, I was a little bit hesitant to order them as past experiences weren’t the best, however my concerns weren’t warranted. Living up to my expectations, they were insanely sweet, rich and had a massive amount of flavour. 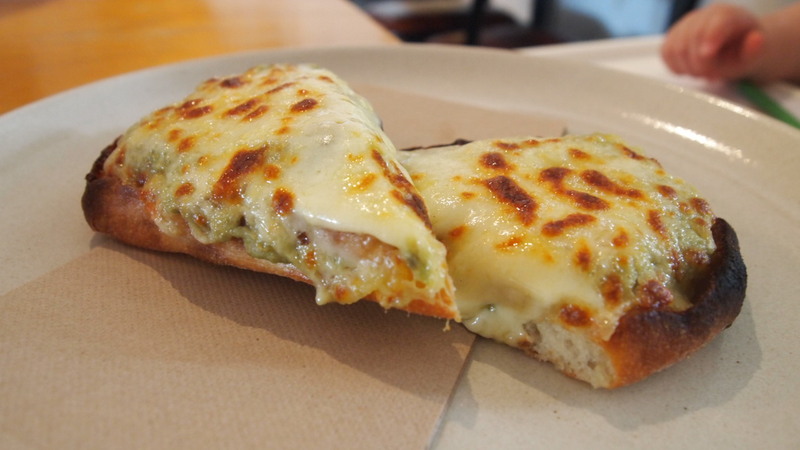 Although overshadowed by the popular shakes, their food game is also strong and deserves much more attention than it attracts. 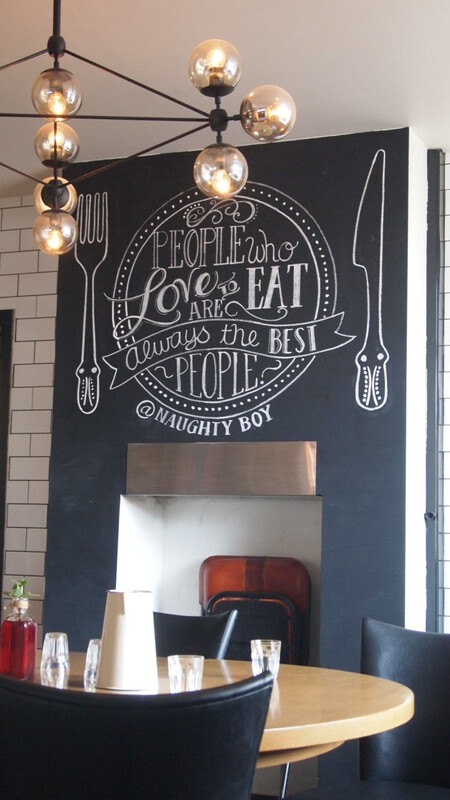 Offering a good mix between the classics and more inventive dishes, plus a balance between sweet and savoury options, regardless of your food preferences Naughty Boy has got you covered. On top of that, they also have a small kids menu with some great options that’ll have parents happy to finish off the kids food. We were really impressed with the food. 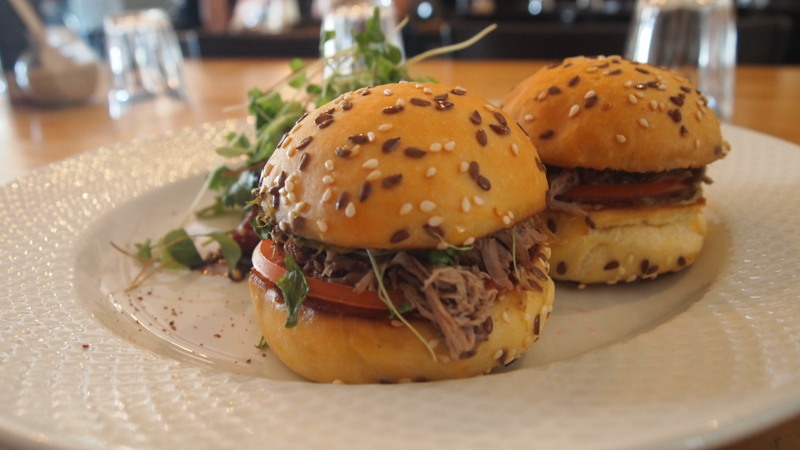 The slow cooked lamb shoulder sliders were delicious. The lamb was a little bit dry, but was compensated by the baba ganoush, and the side salad with pomegranate which was really refreshing. 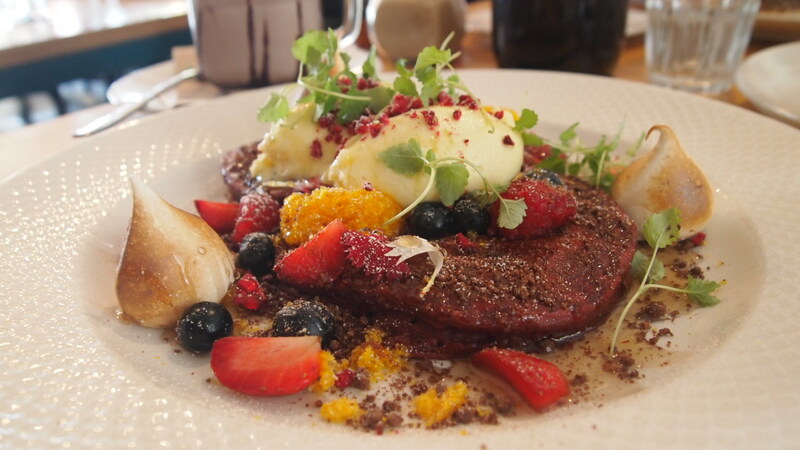 The red velvet pancakes were also great. They were quite dense, almost cake like, but still super moist and didn’t require any maple syrup. They were topped with heaps of fresh berries, a generous serving of vanilla mascarpone and these delicious little burnt meringues. On the downside, the pancakes themselves were quite small, if anything they were more like pikelets, which was a shame, they were so good, I would have liked to enjoy more of them. I also ordered the vegemite and avocado melt for the little guy and for the first time at a café, he actually ate his lunch! I had to fight to get a bite of his toastie before he finished it all off. A special mention must again go to the awesome team at Naughty Boy, the service was great, they were really personable, and were amazing with my son. 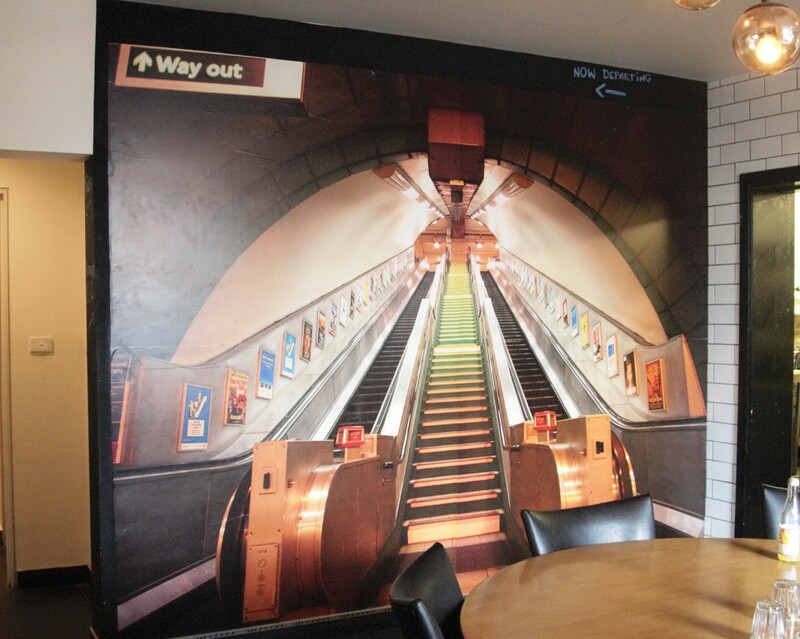 I got the impression that they all love working there and it came through in the general atmosphere of the café.